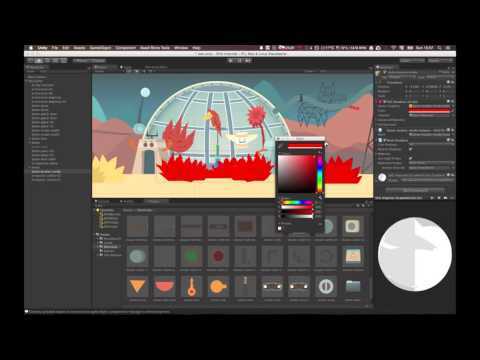 SVG Importer opens new possibilities for working with Vector Graphics directly in Unity. SVG Importer can be found on the Asset Store here. Jaroslav Stehlík is the lead developer at Silicon Jelly. He began his career as a postproduction artist and photographer for major advertising agencies (a long time ago). Jaroslav Stehlík was at Silicon Jelly from the beginning and created the technical background for the company. He switched from Adobe Flash to Unity and was never been happier about the decision. Their first successful game was Mimpi and are now looking forward to the upcoming sequel Mimpi Dreams. Because of this sequel, Jaroslav Stehlík spent all of his free time developing SVG Importer. SVG Importer shortened the development time at Silicon Jelly by almost a factor of 3. Jaroslav Stehlík had never hoped so many talented developers would be using his plugin and giving him such a great feedback. SVG Importer is used by most of the biggest companies in the game industry and it is even used in applications which help people during disasters like earthquakes, floods and war.